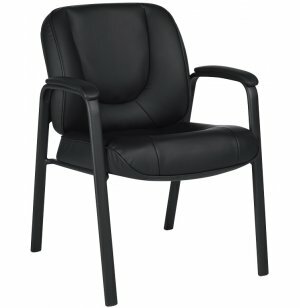 Classic guest chairs add a touch of style to any office or waiting area. 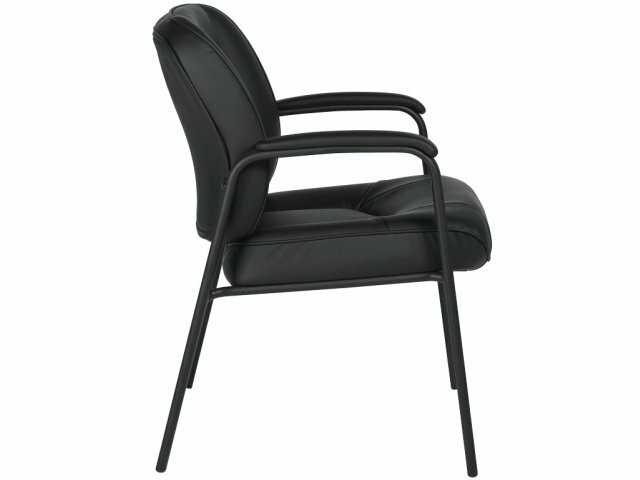 These Luxhide Reception Chairs from Offices to Go offer your guests the look and feel of leather at a value price. 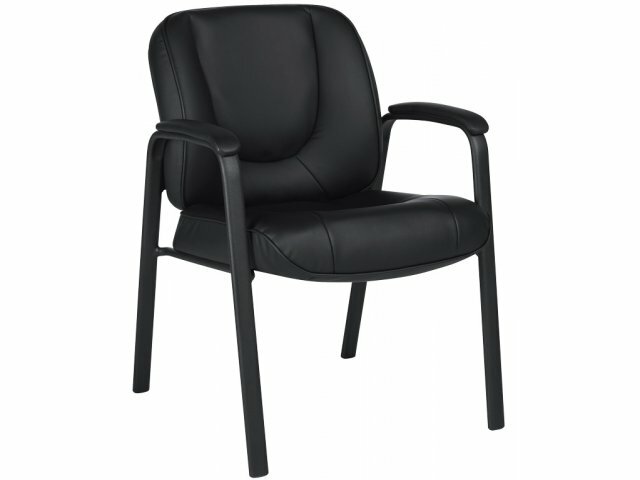 The soft, black Luxhide upholstery with mock leather trim is a pleasure to sit on, and the padded armrests provide an extra comfort factor. The 14-gauge steel frame is highly durable, and comes with a black epoxy powder-coated finish that resists peeling and scratches. Timeless: The classic design of these guest chairs always looks in style. 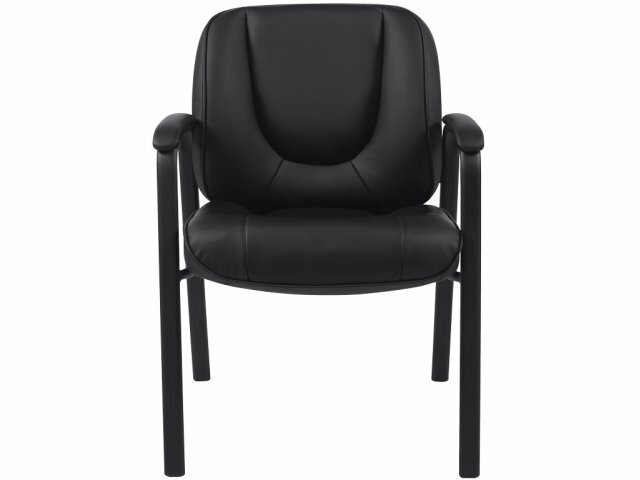 Comfortable: Soft upholstery and padded armrests add comfort. Durable: 14-gauge steel frames are extra strong and built to last. No-Scratch Finish: Black epoxy powder-coated finish resists peeling and scratches.